Expeditions North Nagagami Lake Lodge welcomes you, as we celebrate a great fishing and hunting season! 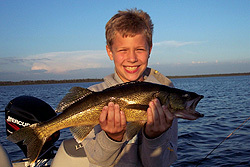 We can help you plan your vacation to catch Canada's best walleye and enjoy the pristine wilderness in a secluded setting. 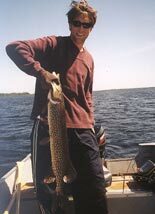 Along with details on Nagagami Lake and Expeditions North Camp, you will find tips on planning a fishing or hunting vacation, maps and photos, weather, new movie clips, information about Ontario and the local area, and even how to reach us by private plane. Newly remodeled cabins and lodge feature the comforts of home, & fishing this year is at its peak! Our lodge on Lake Nagagami is accessible only by float plane. We feature an exclusive opportunity to relax in the remote north, with privacy, comfort, excellent fishing, hunting, and a guaranteed smile. We hope to answer any of your questions here, however if we missed anything, please be sure to contact us by e-mail for a personal response. Enjoy!